The term "Do It Right The First Time" gets a lot of lip service these days. If you want professional woodworking specialists who are willing to take the necessary time to do your job right, let us serve you. 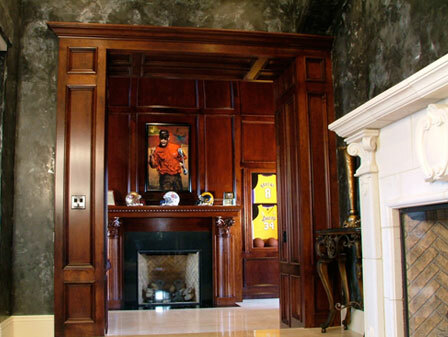 When it comes to finding a finish carpentry or crown molding installers in Visalia, Fresno County, and surrounding areas, you want someone who is a leader in the industry. It is imperative that the company is trained, knowledgeable and able to provide you with the level of professionalism and service that you desire. We will take the time to consult with you and get your project done the way you want. Our design team will communicate with you and make your ideas come to life in a way that gives your home the extra-special look you deserve. Our company has pulled together one of the best groups of professionals in our business. We are focused and creative in our approach to what we do. The best equipment and training gives us an edge. To maintain a higher level of quality, we keep our eyes on material grades, alignments, proper shimming, and the strongest fasteners available for each application. We do the project correctly, even in the places you can't see. Our professionals have an eye for what looks right and true. There is nothing worse than a door that rubs or a dead bolt that doesn't work properly. 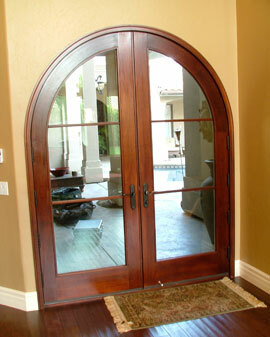 We guarantee that all the doors and hardware we install operate smoothly and correctly. Your satisfaction is guaranteed, or we make it right. 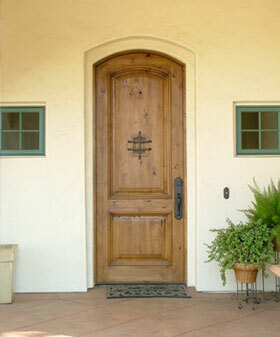 We offer a variety of different commercial and residential doors in Visalia, CA and other surrounding areas. Even with our finish carpentry services, we want to help transform your property into the vision that you have longed for in a home. Regardless of whether you are searching for finish carpentry in Visalia or products that you can take home and install yourself, we have something that will help you create the vision you desire. There is nothing worse than a door that rubs or a dead bolt that doesn't work properly. We guarantee that all the doors and hardware we install operate smoothly and correctly or we will make it right!